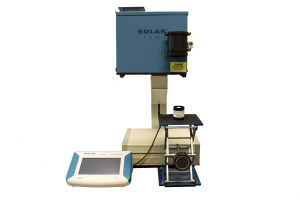 Solar Light’s UVA Output Solar Simulators are the industry standard in advanced SPF UVA testing hardware, relied upon by over 95% of the world’s SPF testing laboratories for their unparalleled quality, accuracy, and reliability! These models are fully complaint with the latest FDA, JCIA and ISO recommendations for in vivo and in vitro SPF testing of sunscreens, as well as a wide variety of dermatological research. Everything required for instant testing right out of the crate is included direct from the factory: Solar Simulator, Power Supply, Automatic Dose Controller, NIST-traceable UVA Sensors, safety glasses, and all related accessories. 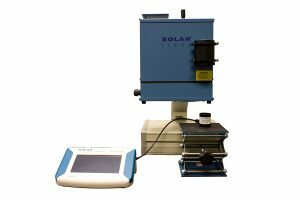 Solar Light’s state of the art single output 1000W LS1000-6R-UVA Solar Simulator produces a 6” (15 cm) UVA beam in the range of 320-400 nm, specifically for research applications such as in vitro and in vivo sunscreen testing. 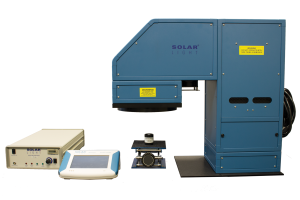 Solar Light’s state of the art single output 1000W LS1000-2S-UVA Solar Simulator produces a 2” (5 cm) UVA beam in the range of 320-400 nm, specifically for research applications such as in vitro and in vivo sunscreen testing. 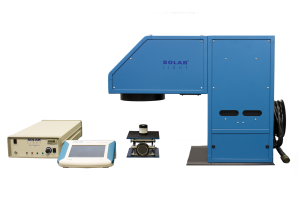 Solar Light’s state of the art single output 1000W LS1000-2R-UVA Solar Simulator produces a 2” (5 cm) UVA beam in the range of 320-400 nm, specifically for research applications such as in vitro and in vivo sunscreen testing.